Whether you plan to have guests wake boarding on Lake Minnetonka or cruising down the Mississippi River, you'll want to build excitement about your event. 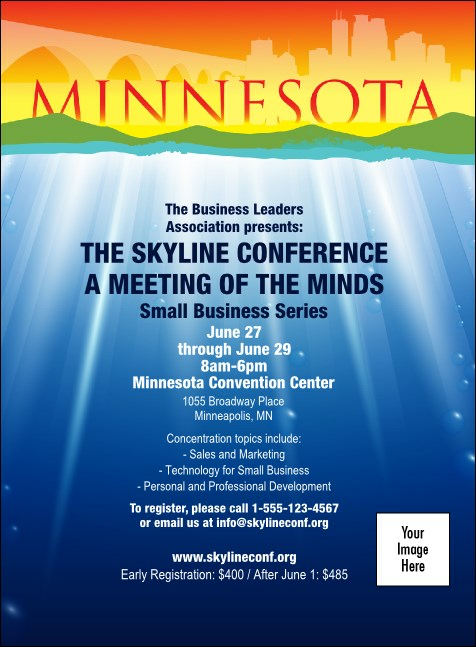 Get the attention of attendees when you send the Minnesota Invitation. This colorful invite features space for your own custom image upload. From St. Paul to St. Cloud share your event with invitations from TicketPrinting.com.